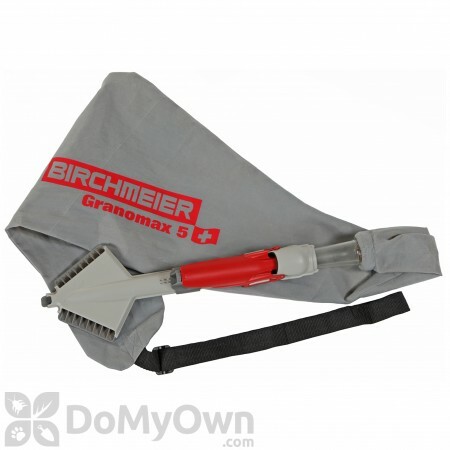 The Birchmeier Granomax 5 Spreader (11893001) features an exceptional design that is excellent for dissemination of fertilizers, grass seeds, rock salts or de-icing agents. 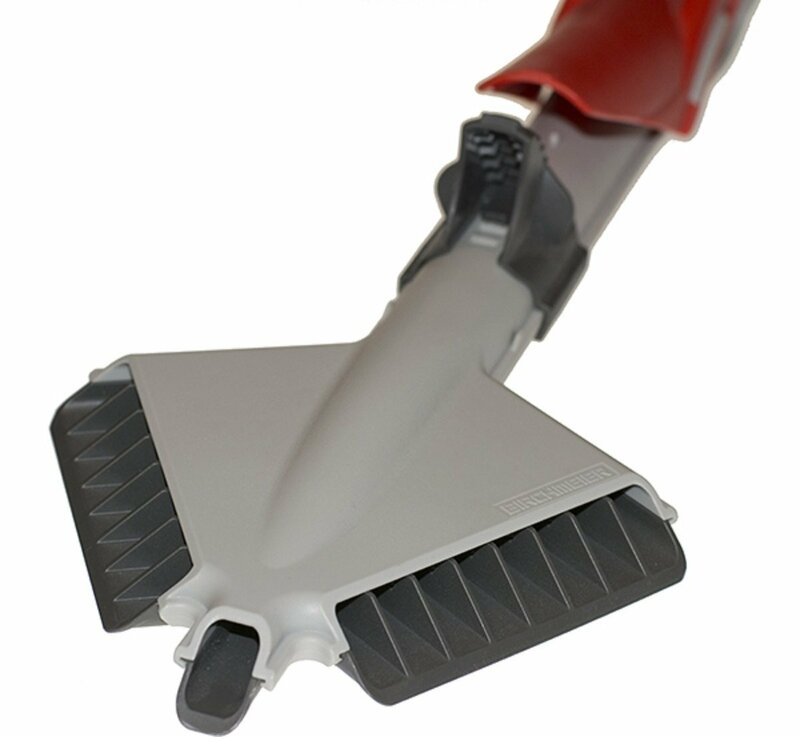 It is ideal for spot treating, broadcasting up to 2 meters wide swath or control spreading in lawns, garden, driveways and other small or medium areas. The spreader's carrying system maintains a continuous flow of material to the head by altering the bag on your back. The length of the carrying strap is adjustable for different body sizes. The dust-resistant, hopper bag holds 11 pounds of free-flowing granules. It is equipped with a large opening and zip closure to secure its content. To use, fill Granomax with granules, adjust flow rate and start spreading. 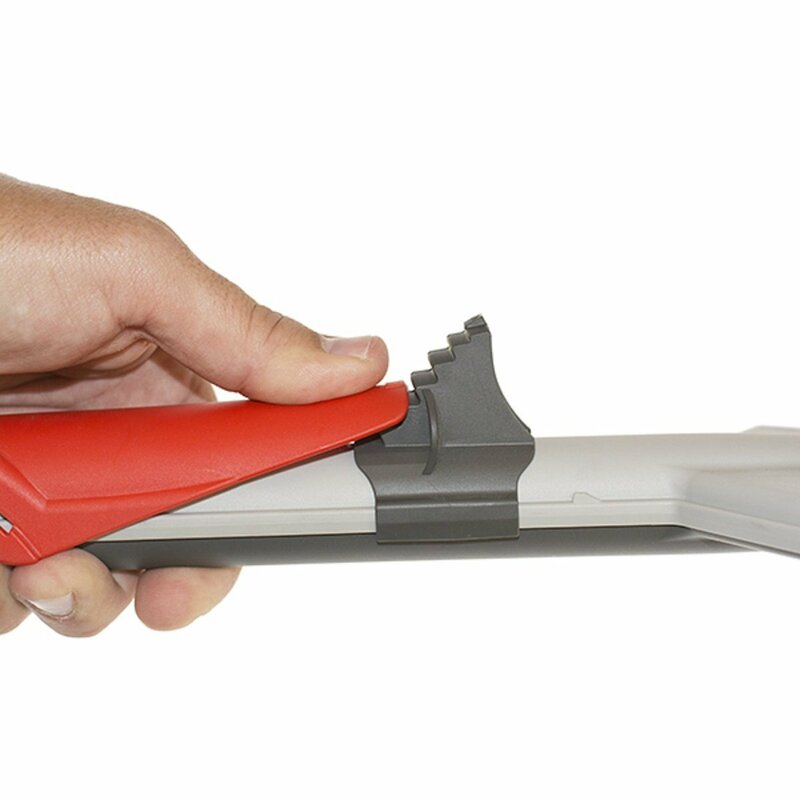 It does not require any batteries or susceptible mechanics. It works simply by gravity. Application of granular ferts, herbicides and fungicides with the more conventional drop and broadcast spreaders are simply too difficult to control in my yard, despite my efforts to use them. The Granomax is proving to be precise in flow and product placement. No overcast and no sporadic / intermittent flow.